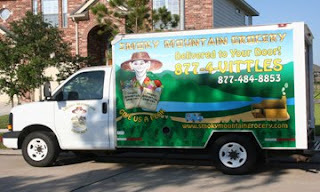 Smoky Mountain Grocery Opens in Wears Valley !! Smoky Mountain Grocery ANNOUNCES that from the time Smoky Mountain Grocery began, we have worked toward our goal of someday owning our own grocery store. Today this dream became a reality. We currently shop other grocery stores in the area to fill our customers orders, but we have opened our first SMOKY MOUNTAIN GROCERY STORE in Wears Valley on the Wears Valley Rd near the Rocky Top Country Store !! !